Choose Firestone Complete Auto Care for car and truck repair you can count on. Schedule an appointment for handcrafted auto repair and service in Cordova today! Need the best auto repairs in Cordova? Then you need to find the nearest Firestone Complete Auto Care. A healthy car and strong engine need regular maintenance to stay in shape and keep you safe while driving. What's more, fixing little issues ahead of time can help prevent major problems and expensive repairs in the future. Some signs are unmistakable, like warning lights on your dashboard or drips in the driveway. Other times it can be can be tough to know that your truck or car needs a service or auto repair. However, there's one thing you know for certain: when something just feels wrong! Fortunately, you can trust the technicians at your neighborhood Firestone Complete Auto Care to help keep your car running newer, longer. Stop by your nearest auto and truck repair shop in Cordova and we'll first conduct a courtesy check. Highly trained technicians will check out your brakes, tires, battery, belts, hoses, wipers, safety lights, and more, all in order to solve your car problems. The best car repair can't happen without the right expertise! Afterwards, we'll give you a full report of your car's health and explain any repair services that may need to be done. With almost 100 years of experience, we know what it takes to reach peak vehicle performance. 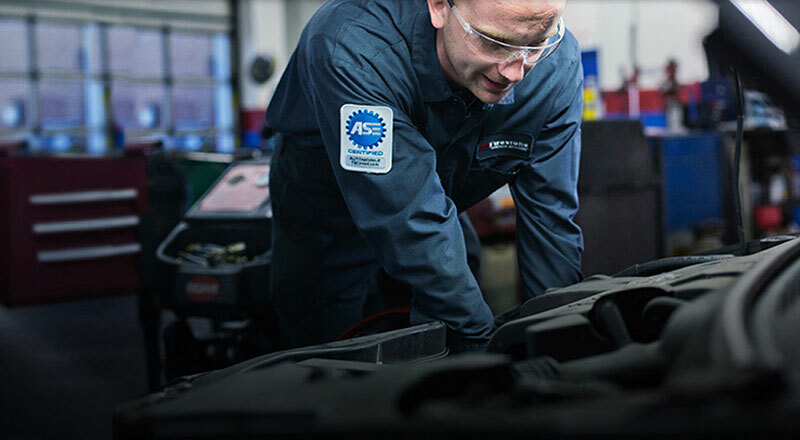 From tire alignment to brake pad replacement, transmission to tire repair, our technicians have you covered. We're your full-service automotive repair shop in Cordova! We believe in customer satisfaction and safety above all else. That means we'll never recommend a repair that isn't necessary and we'll always do our best to fix your vehicle right the first time. And that’s a guarantee, backed by our Triple Promise – a promise that every job will be Fixed Right, Priced Right and Done Right on Time. You can be sure of it! So whether you're facing weird exhaust noises, strange smells, or your car just feels like it's losing its power, book an appointment at your nearby Firestone Complete Auto Care for some of the best auto repair in Cordova. It's time to unleash the car you've got! From state inspections to engine tune-ups to tire repair, trust your nearest Firestone Complete Auto Care for your automotive service needs. We're an automotive shop, tire store, and car care center wrapped into one. Our highly qualified technicians believe in truly complete auto care. When you bring your car or truck to us for maintenance, we promise quality service at an affordable price. Explore our services and at your convenience, schedule your next courtesy check or repair in Cordova, Tennessee today.